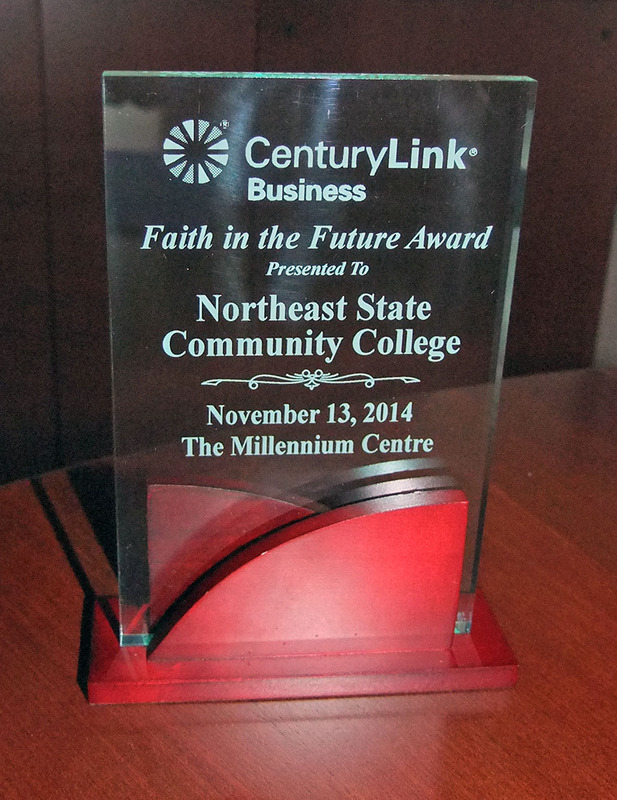 Northeast State was honored to receive CenturyLink’s 5th annual Faith in the Future Education Award for 2014 presented at the Millennium Center in Johnson City in November. A five-member panel of judges selected Northeast State from a group of nominees in higher education from around the region. Northeast State vice president for Administrative Services, Dr. Fred Lewis, accepted the award on behalf of the College. 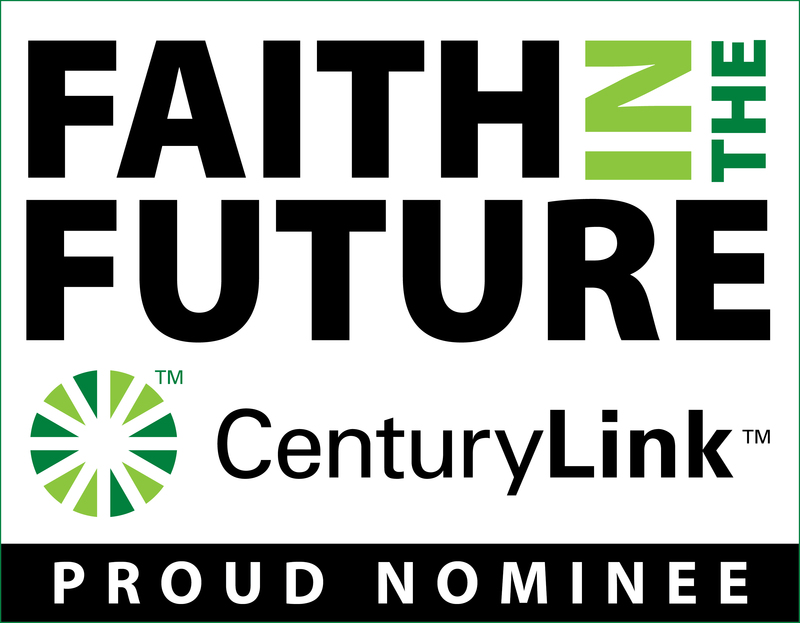 CenturyLink hosts the Faith in the Future awards to recognize businesses and individuals that demonstrate a commitment to the future of their business, their employees, their community, and the region. Businesses and individuals from the counties of Carter, Greene, Johnson, Sullivan, Unicoi, and Washington (TN and VA) are invited to participate. Ceremony emcee Josh Smith highlighted the College’s expansion into Johnson City, academic program development, and responsive role in the new Tennessee Promise program to give high school seniors an opportunity to have a two-year degree funded. 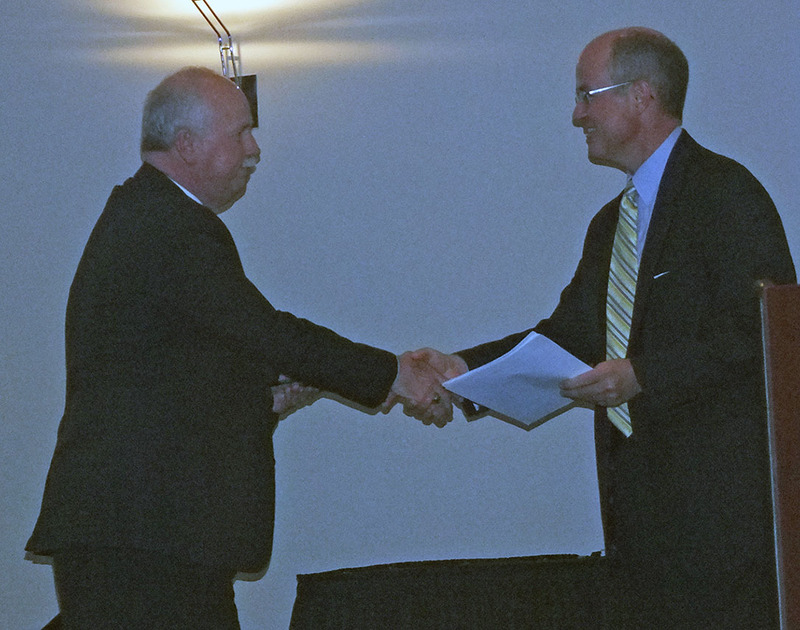 Dr. Fred Lewis receives the award from Josh Smith. The College is experiencing considerable expansion of facilities and academic opportunities. The Tennessee Board of Regents confirmed in August a construction contract with Rainey Contracting to complete Phase 3 of the $1.6 million, 36,000 square-foot renovation of Northeast State at Johnson City campus.The College launched the Entertainment Technology technical certificate program this fall at the Northeast State at Bristol campus. NASA’s Office of Education award the College two-year grant to increase student and faculty engagement in science, technology, engineering and mathematics (STEM). A five-member evaluation team reviewed all nominations based on the criteria, choosing one winner per category. Other category winners included the One Acre Café, Mountain States Health Alliance Board of Directors, The Creative Energy Group, the Junior League of Johnson City, and John Deere Power Products. They are back and better than ever. 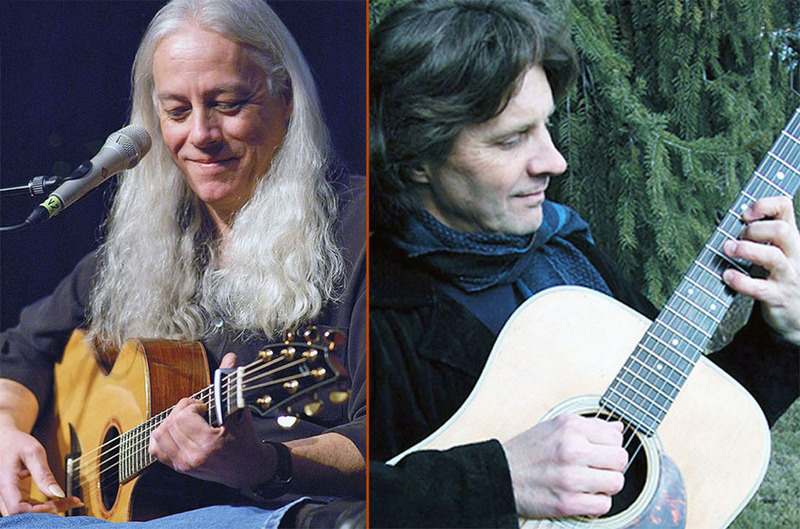 Guitar legends Ed Gerhard and Bill Mize return to Northeast State for a free Christmas concert on Wednesday, Dec. 10 at 7 p.m. in the Wellmont Regional Center for Performing Arts Theatre on the College’s main campus at Blountville. Ed Gerhard (left) and Bill Mize. Mize is also a Grammy-winning guitarist and renowned instrumentalist. He has released albums Sugarlands, Tender Explorations, Coastin’, and Joyful Noise. His release, The Angel’s Share, was called one of the “essential acoustic albums” to own by Acoustic Guitar Magazine. Bill has put the finishing touches on his newest recording, The Back of Beyond. This recording pays homage to Bill’s Smoky Mountain heritage with brand new acoustic guitar compositions, plus a stirring cover of Piazzolla’s “Milonga del Angel”. Doors open at 6:30 p.m. Admission is free and open to the public. For more information, contact 423.279.7669. The tale of Ebenezer Scrooge has fascinated generations of audiences with its universal themes of greed, loss, class, and redemption. The Northeast State Department of Theatre brings this classic back to the stage with I, Ebenezer, a brilliant and original retelling of Scrooge’s Christmas adventure. Adapted from the beloved tale A Christmas Carol by Charles Dickens, the play is a family friendly production that deals with the human side of the beloved holiday story. I, Ebenezer tells the story of bitter old miser Ebenezer Scrooge, head of a multinational company that specializes in steam-powered robots. Playing Scrooge is Richard Jackson, an actor who continues to stretch his range of performances from Ben in Night of the Living Dead, to Jim Hawkins in Treasure Island, and Peter in The Lion, the Witch, and the Wardrobe. Written and directed by Northeast State Theatre faculty member Brad McKenzie, the play’s motif reflects the steampunk storytelling genre where the world’s technology operates on steam power. McKenzie wrote the adaptation after facing a crossroads in his own life. Caitlin Haltom portrays Eliza Scrooge, Ebenezer’s wife and confidant typically unseen as a character in the story. Eliza plays a pivotal role in her husband’s life. She noted the transformation during the play of Scrooge as he is referred early on to the more humanized “Ebenezer”. Ebenezer also shifts the characters of Eliza Scrooge and Sarah Cratchit from the shadows to the spotlight. Both women play prominent roles influencing their husbands and the storyline. Sarah Cratchit is played by Hannah Duncan, a theatre major performing in her fifth production with NST. Duncan aspires to be a director and has done yeoman work on stage and behind the curtain during her two years with Northeast State Theatre. Her portrayal of Sarah stands strong for her family and against Scrooge taking advantage of her husband. Heather Christian portrays Marlene, an original character who combines the roles of ghosts of Christmases Past, Present, and Future. She whisks Scrooge away on his time-traveling journey giving him and the audience a peek into what turned Scrooge into the man he has become. Make-up designer Dustin Lawson went to work putting the faces on the human and robot characters. He recruited assistant make-up designer Lorrie Anderson to create the Victorian-meets-steam look for the characters. Anderson makes her first foray into design with this production. A theatre major at Northeast State, she played Lucy in the NST’s The Lion, the Witch, and the Wardrobe and has performed onstage at Theatre Bristol and the Johnson City Community Theatre. Austin Sparks portrays Marley-bot, a first-generation automaton who provides comic relief during the play’s darker moments. Named for its inventor Jacob Marley, Sparks underwent a significant make-up and costume transformation to become the play’s only speaking robot. Trained in forensics and pantomime performing, Sparks spends up to 90 minutes getting into make-up and costume for his role. Costuming these past and futuristic characters is Marty France, a theatre major, with extensive stage experience. France has overseen the creation of more than 20 costumes to frame the Ebenezer characters. Elizabeth M. Sloan, the play’s producer and director of Northeast State Theatre, says I, Ebenezer captures all the story’s essential elements while giving students an opportunity to use their imaginations and what they’ve learned. Many Ebenezer cast and crew member are prepared to graduate from Northeast State next spring. This play and the spring production of The Laramie Project mark the end of sorts to their collaborative efforts as students. Northeast State Theatre students have won acclaim and awards from the Region IV Kennedy Center American College Theatre Festival for four consecutive years. The program’s reputation gives students moving to four-year institutions considerable respect from academic and theatre professionals alike. Performance dates are Dec. 4 -6 and Dec. 11-13 at 7:30 p.m. Two matinees will be performed on Dec. 7 and Dec. 14 at 2:00 p.m. Tickets are $10 and free to Northeast State students who present valid student identification. For information about tickets or how to purchase tickets call the Box Office at 423.354.5169 or email Travis Brooks at tcbrooks@northeaststate.edu. 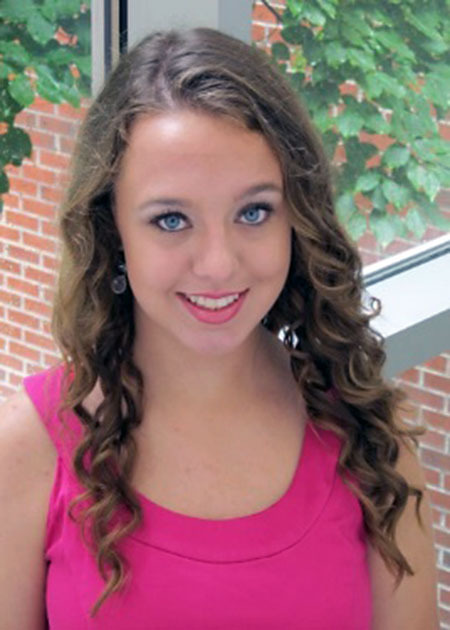 Northeast State student Emmaline Bragg of Bristol, Va., has been selected to receive a $1,000 scholarship from Phi Theta Kappa Honor Society as a 2014 Coca-Cola Leader of Promise Scholar. Bragg was one of 207 Phi Theta Kappa members awarded a total of $207,000 in scholarships. Chosen from more than 900 applications worldwide, the scholars receive scholarships to further their associate degree studies. Independent judges evaluate the applications based on scholastic achievement, community service, and leadership potential. Bragg is a social work/sociology major, planning to transfer to ETSU in fall 2015. Her career goal is to work with children in a social work setting. In addition to her position as secretary/treasurer for the Alpha Iota Chi Chapter of Phi Theta Kappa, she is vice president of the Scholars Foundation, a member of the Council for Leadership, Advocacy, and Student Success, and a member of the President’s Student Advisory Council. She previously held the SunTrust Foundation Endowed Scholarship. Bragg said she plans to apply for ETSU’s Midway Scholarship and eventually get involved in several of the university’s organizations. Phi Theta Kappa Honor Society, headquartered in Jackson, Miss., is the largest honor society in higher education with 1,285 chapters on college campuses in all 50 of the United States, plus Canada, Germany, the Republic of Palau, Peru, the Republic of the Marshall Islands, the Federated States of Micronesia, the British Virgin Islands, the United Arab Emirates and U.S. territorial possessions. Nearly 3 million students have been inducted since its founding in 1918, with approximately 132,000 students inducted annually.